Label-Park was created in 2008 in the Basque Country (in France) and its headquarters are located in Biarritz. 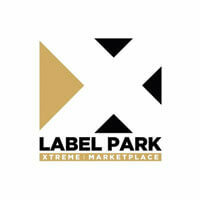 Label-Park.com is a specialized e-commerce site in board sports and extreme sports. Label-Park.com draws its strength from its expertise and experience in the world of board sports: snowboard, skateboard, surf, bodyboard, longboard, wakeboard, and many more! • The Market Place (Permanent Shop): The space dedicated for New Collections/Ranges! The new flagship products from your favorite brands will be available here as soon as there are released, a single shipment of your cart in 48 hours including an after-sale and delivery service directly provided by the brands! • The Private Sales (Ventes Privées): Every week several private sales including sports and leisure items but also textile streetwear and surfwear for men and women always at the forefront of fashion and style. Our Private Sales guarantee incredible discounts! • The Destocking (Outlet): You wish to dress cheap but always with style? Discover the outlet area with promotions never seen before! The ends of series from the biggest brands are available in Label-Park.com to unbeatable prices with discounts up to -80% and a single shipping of your cart in 48H. Label-Park is taking a special care and focus on the quality, innovation and freshness of the products available, to always stay on top of your expectations and reaching your satisfaction, and thus retain the rank of European leader in private sales!